We are now accepting reservations for a harvest season trip, October 10 – 20, 2016. Our April trip to Southern Italy filled up so quickly this year that we are offering a fall tour for those of you who wish to join us. During the month of October the weather is still warm and beautiful, all the harvests are in so there is a great abundance of fresh foods and all the tourists are gone! We think a mid-October trip will be amazing! Join us for a fun-filled weaving together of travel, fabulous food, art, history, archaeology, prayer, plant medicine, the divine feminine and the magnetic, healing energy of a small group of people into a rare and beautiful experience that will be deeply soul nourishing and long treasured, while at the same time relaxing, restorative and entirely low key. We’d love to have you with us! Our base camp during the 2014 Earth and Spirit Tour will be a newly renovated stone house in a remote and friendly medieval village at the base of our mother mountain, Mount Cervati, the largest mountain in the area. Your home is comfortable, spacious and artfully designed with an eye toward maintaining traditional features. It has central heating in every room, fully modern bathrooms, a cozy fireplace, modernized classic Italian kitchen and a large comfortable balcony from which we can look over the hills and valley. Best of all, it’s conveniently located right outside the door from our parking area and is right down the cobblestone passageway from my house. I can’t wait for you to come and stay here with me in my beloved Italian village! We’re in the heart of the Cilento National Park, one of the largest intact wilderness areas of the world and our village is a World Heritage site. Our location puts us in very close proximity to the Grotto of Vallicelli, which was a thriving Bronze Age community, inhabited since the Paleolithic era, and home to some of the original inhabitants of this mountain area. Bring a head lamp or flashlight and I’ll take you inside to see housing Italia style 50,000 years ago! 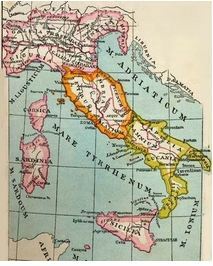 From time immemorial its unique geographical position has made this land a natural crossroads for the cultures that developed on the Adriatic, Ionic and Tyrrhenian coasts. The ancient culture of Villanova, Lucanian civilization and the later Greek colonization all met here. It is a most amazing and magnificent place! Our valley was once the central location for Dianic worship in all of Southern Italia. This spiritual tone and sense of reverence for nature and all that she represents still permeates the hills and valleys as well as the lives of the people here. Life, and the sense of the divine, really hasn’t changed all that much since ancient times. This pristine, magical, and centrally located place is in the region of Campania, (formerly Basilicata until the unification of Italy changed our borders.) and we’ll be in the midst of one of the most incredible agricultural areas of the world with a legacy of growing and preparing foods that goes far back into ancient history. We’ll visit several of the world’s best preserved archaeological sites and hilltop villages, make pilgrimages to ancient as well as modern shrines and meet many of the earliest Mediterranean Gods and Goddesses as they are still portrayed, though perhaps renamed,in their original locale. We’ll have many opportunities to learn about the lineage of Great Mother, the plants and trees long associated with her, and to understand the depth of her roots in human culture. We’ll pay homage to her in her many guises throughout these lands, including offering our prayers before an 11th century Byzantine Black Madonna. All the while we will be surrounded by the local flora and the mountains will be awash with an amazing array of fall color. The wonder and abundance of a great diversity of wild medicinal herbs, flowers and trees will be all around us and permeating all we do. Plus, the harvest will all be in and there will be amazing fresh foods and beverages available everywhere! We’ll visit the Certosa di San Lorenzo, the second oldest monastery in Italy which took over 400 years to build and holds an extraordinary collection of art and artifacts, many as old as 7,000 years and uncovered right here in our valley. These are world treasures that are virtually unknown and an absolute blessing to behold. In a nearby village we’ll enter an ancient Aslepian Healing and Dreaming temple, in use for many centuries before Christianity, transformed into a Catholic Church and now a remarkable museum. Next to the Dreaming temple is the Museo d’Herbe which houses a collection of the rich botanical diversity of the region and explanations of their traditional uses. I’m excited to take you there! And we’ll also pay a visit to the ancient Baptistery of St. Giovanni, long dedicated to Attis before the Christian era. You will be awed by the natural wonders of the Amalfi coast, the inland mountains, the Cilento Parco Nationale, the villages that climb into the sky, the olive groves and gardens, as well as the proliferation of magnificent art and architecture everywhere we go. The people of this area, descendants of the indigenous people of the Apennine mountains, are among the most generous, loving and hospitable people found anywhere in the world. You will have plenty of opportunities to associate with and learn from these inspiring people. We’ll visit a few of their well tended organic gardens, learn to make a variety of hand made pastas entirely from scratch and watch mozzarella cheese be formed before our eyes by artisans who have been doing this for generations. Just as they have done for centuries, village women will be on hand to personally guide us through local shrines and share their history and meaning. Our village design and archetecture is outstanding. It was built in the 9th century, but human habitation here goes back at least 50,000 years. Cost of the entire 12 day tour is $5,400. Your tour consists of two days of international travel, and nine full days touring the sites in Southern Italy. The fee includes your airfare from Boston to Naples and return, your transportation from Naples to the village as well as all transportation while on tour and all lodging. The majority of your meals are also included in your tour fee. Cost of the entire 10 day tour is $5,400. The fee includes your airfare from Boston to Naples and return, your transportation from Naples to the village and back as well as all transportation while on tour and all lodging. The majority of your meals are also included in your tour fee. You will be provided with the makings of traditional Mediterranean breakfast and will provide your own lunches. Your dinners, with one exception, are all included in your fee. 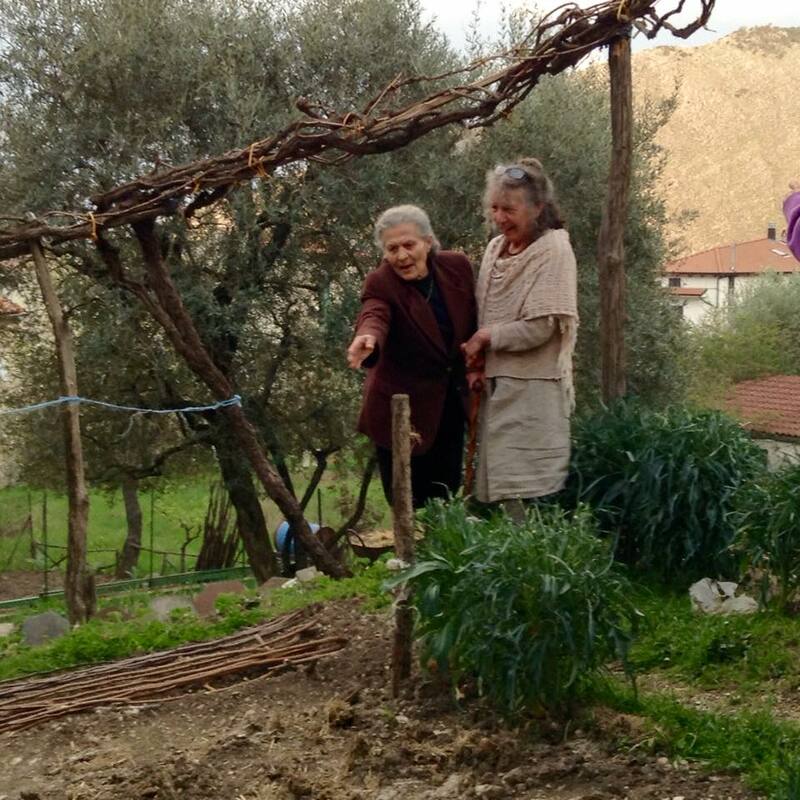 All dinners will be prepared and graciously served to you by a local family with amazing traditional Mediterranean meal preparation skills, using the freshest, local, and for the most part, organic ingredients, much of it from their own gardens. Our meals are guaranteed to be not only culinary masterpieces of highest quality, but a major highlight of every day. There is one occasion when we will eat dinner out in a traditional Italian Trattoria and you will be responsible for the cost of your meal. My daughter Rosa and son-in-law Adam are well known and highly regarded for their graciousness and hospitality skills! They will function as our support crew during our tour – doing our breakfast food shopping, seeing to our daily needs as well as our transporting. Rosa is a fabulous chef with serious Italian cooking skills and will teach us how to make a variety of hand made pastas entirely from scratch! It is a great joy for me to lead the Earth and Spirit Tour and introduce you to an area of the world that is stunning for its incredible, ever changing landscapes, diversity of nature, both flora and fauna and its wealth of ancient history and culture, and proudly maintains it’s connection to both the land and it’s rich spiritual heritage. The village that will host us is my maternal family’s ancestral home. I am honored to introduce you to its people and their way of life, which is beyond inspirational. It is simply and deeply soul nourishing. Because we have ancestral roots here and know it so well, we can bring our guests to amazing places off the beaten tract. Many of the places we visit are virtually unknown to “outsiders.” The small size of our group ensures you have a deep and intimate experience, well beyond the scope of a large travel tour. Note: If you are already in Europe and would like to join us for the tour, we welcome you! Please email us regarding the possibilities and adjustment in tour fee. We are also willing and able to host private tours for small groups of friends and/or family. Let us know your needs and we will try our best to cater to them. We’ll no doubt be joined from time to time by our neighbors: Carmella will give us a tour of her amazing garden, our milk will be delivered fresh by Antoinette, whose brother’s farm is up on the mountain and the fruit man will come by on a daily basis, tooting his horn from a truck laden with the freshest fruits and vegetables imaginable. Our tour is limited to seven participants per year. A $500 non-refundable deposit will hold your place for this once in a life time experience in southern Italia. Full payment is due by August 1st, 2016. I had no idea of your Italian connections! Bob and I love Italy. I’ll stop by and have a chat next market. Hey, Gail, could you pass on to the girls that I’m trying to encourage as many people as possible to wear their Crooked Face Creamery’s Tshirts on Saturday. It would be fun to make it CFC Tshirt day.